As the 60th anniversary of the founding of new China draws near, all walks of life are preparing a gift to celebrate the big day. China's movie industry is presenting a gift of 30 films, and the body of work was publicized by hundreds of artists at a ceremony in Beijing on Wednesday. It's an unprecedented parade of Chinese movies. The films represent the highest achievement in art and production in the industry. The 30 films include epics like "The Great Cause of New China's Foundation", and "SHAKING THE EARTH" realistic themes like "Wedding at the Yellow River Bank" and "Glittering Days" suspense films like "The Message", as well as the documentary "Chang'an Avenue", and an animated feature "The Magic Aster". Han Sanping, general director of "The Great Cause of New China's Foundation" said, "I'm so glad that I was assigned to helm this movie. It took me ten months to accomplish it and I only hope the audience will not be disappointed." More than 300 Chinese filmmakers and actors attended the ceremony to publicize their movies. Chinese mainland popular actresses Zhou Xun and Li Bingbing jointly recommended their latest work "The Message". "The Message" is an espionage thriller set during the War of Resistance Against the Japanese Aggression. "The Great Cause of New China's Foundation" is the most star-studded movie in Chinese history. Half of the 150 participating actors are super stars in China. Although some of them only play a minor character and have only one speaking line, they are proud to be a part of such an important work. Actor Hu Jun said, "My sentence is very decisive in the film. I faced Chiang Kai-shi, the head of the Kuomintang and told him "We lost Yan'an"." 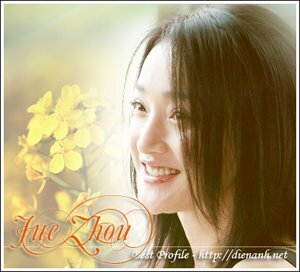 Actress Chen Hao said, "I played General Fu Zuoyi's daughter and my last sentence in the film was significant. I said "I know it". After that Beijing was liberated peacefully." The 30 films are now screening in cinemas across China until October 20th.